Once your little princess reaches her toddler years, she will be increasingly active and even more interested in exploring the world around her. Her unique personality will be shaped during this stage, as she moves to the next level of her physical, cognitive, emotional, mental, and social development. This is precisely why it’s so important to get the toys right for this stage. Your little one may already show some preferences, but with the toys that you give her, you can really help shape her childhood and who she’ll grow up to be. What Makes a Good Gift for Your Three-Year-Old Girl? Board games are always fun to play, and there’s no reason why your 3-year-old can’t start now. Specially made by Wonder Forge, this is more than your regular board game because it comes with lots of exciting features that can capture and retain your little one’s attention. 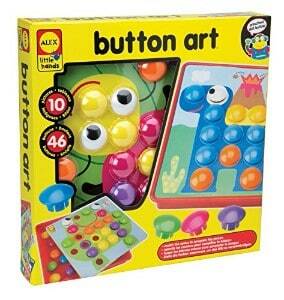 This stimulating game is like a puzzle as well as an activity board and a search toy all wrapped into one. What’s Great About It – This game targets multiple skills like object identification and puzzle solving, but it also encourages social interaction and teamwork, which is great at this age because they start to identify with groups. Nothing enhances your little girl’s imagination more than beautiful dollhouses, and this Dreamhouse by Barbie does not disappoint. 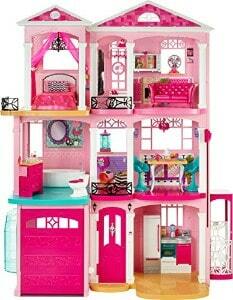 Designed with 3-year-old girls in mind, this Dreamhouse has a total of 3 floors, 7 rooms, and over 70 accessories. It even has its own elevator. It works perfectly with Barbie dolls of course, and encourages not just imaginative play but also social interaction. What’s Great About It – You’ll love the attention to detail that the manufacturers ensured while they were making this, because the dollhouse itself is stunning. It also stands at 3 feet tall, so it’s the perfect size for your 3-year-old and her Barbies. 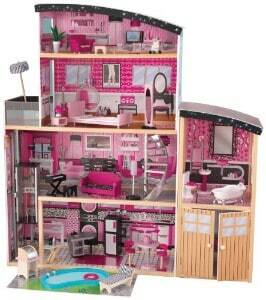 The Sparkle Mansion by KidKraft is a dollhouse that will allow your little girl’s imagination to shine through. She will have 4 floors and 30 pieces of furniture to play with, and there’s plenty of room for 12-inch dolls like Barbie and her friends. The dollhouse stands at more than 4 feet tall, so it’s even taller than most 3-year-old girls. That means there’s so much to explore and discover. What’s Great About It – Because there’s so much room, your little one can play in this doll house with her friends and their dolls. This helps develop her social and cooperative skills. But even if she plays this by herself, with the amount of room there’s really no limit to her creativity. 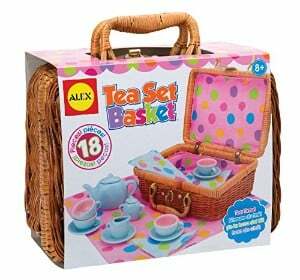 Your 3-year-old's tea parties are about to get a little more interesting, thanks to this Tea Set Basket by ALEX Toys. With a real wicker basket that contains a porcelain teapot, a tablecloth, creamer, a sugar bowl, as well as cups, saucers, and napkins for 4, your little one will be able to enjoy this set with her friends. What’s Great About It – Because these are technically real tea set pieces that come neatly packaged in a wicker basket, the role-playing of your 3-year-old is more realistic than ever before. This encourages her to do imaginative play and stage a ‘tea party’, while transitioning into the real thing. 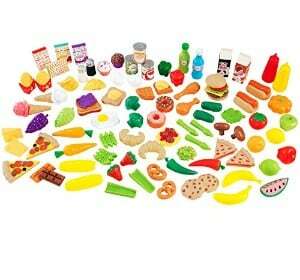 Instead of just a few pieces here and there, why don’t you give your 3-year-old an entire kitchen to play with? The Uptown Espressos Kitchen by KidKraft is modern and chic, but more importantly, it is large enough that many kids to enjoy it at once. This encourages social interaction and role playing, but it also targets multiple cognitive functions. 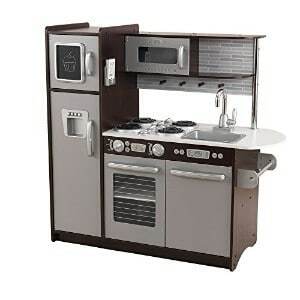 What’s Great About It – This play kitchen is a winner when it comes to details, and it comes complete with everything you’ll find in real kitchens – from your refrigerator and freezer to your oven, microwave, dishwasher, stove, and sink. It’s perfect for your ever curious 3-year-old. Who doesn’t love ice cream? 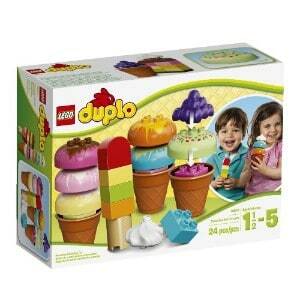 Your 3-year-old definitely does, which is why this Duplo Creative Play Creative Ice Cream from LEGO is something she will really enjoy. She will have not just 3 ice cream cones to play with, but other elements like different bricks like blueberry and cream, and 6 colored ice cream scoops for topping. What’s Great About It – This is a toy that really enhances creativity, especially because there are many combinations that your little one could make. It’s also great that the bricks are finger-friendly, which makes it fun and safe to use for young and soft hands. The Tasty Treats Play Food Set from KidKraft gives your 3-year-old around 115 pieces of food to play with, and the variety is truly remarkable. From different kinds of fruits and vegetables to waffles, croissants, and pretzels, your little one can have her fun with such a wide variety of food items. This is a great toy for imaginative play and can be used in multiple ways. What’s Great About It – The variety and flexibility of this set makes it ideal because your little one can use it anywhere. If she already has a kitchen play set, then this is a great addition. If she has a picnic basket, you can use this for pretend play. Your 3-year-old girl is all about curiosity and imagination, but also about imitating what grown-ups do. 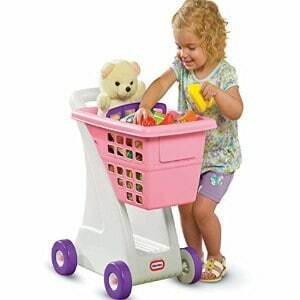 This Pink Shopping Cart by Little Tikes is perfect for pretend grocery shopping, because it’s a toddler-sized shopping cart that she can really have fun with. The basket has enough space to store food items, but there’s also a space for a doll or stuffed toy in the fold down seat, as well as some storage space at the bottom. What’s Great About It – This is a wonderful toy because it further develops your little girl’s motor skills as she pushes it around, but also allows her to have imaginative play. She can pretend she’s shopping for food, or you can actually take her with you to the grocery store. Melissa & Doug know just as much as you do that there’s nothing glamorous about dusting, sweeping and mopping. But you can always make it fun, and you can always start early. Your 3-year-old will love this play set, which comes with 5 cleaning tools that are perfectly sized for her little hands. What’s Great About It – You’ll be surprised at how much kids enjoy being able to contribute to the chores at home. My daughter loved this because she felt like she was responsible enough to be trusted with such a serious task as cleaning the house, and I think that’s precisely what makes this toy a stroke of genius. At the age of 3, your little princess will already have a heightened sense of ownership, so it’s best to give her a better taste of that with My First Purse from Kidoozie. It will stimulate her imagination, but also give her something she needs to take care of. This purse contains a toy cellphone, keys, her very own credit card, a wallet, and more. What’s Great About It – It’s a great educational toy because it teaches your 3-year-old one aspect of being a grown-up. Since this is an actual purse as well, then she can bring it around whenever you go out, and feel very much like a responsible adult. With 46 colorful buttons that little hands can place in 10 different images, the Little Hands Button Art from ALEX Toys is really great for your child’s limitless imagination. This is also great for developing spatial intelligence, hand-eye coordination, color recognition and matching, as well as her creative genius. What’s Great About It – There’s practically no restriction to what your little girl can do using this button art set, and she can really set her imagination free. While she does that, you get a storage tray that conveniently holds all the pieces together, so you don’t have to worry about cleaning up after. 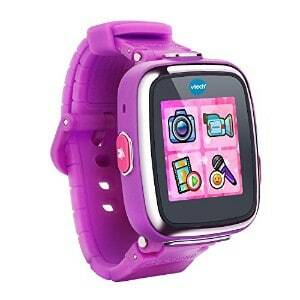 Your child will eventually play with her own gadgets, but this VTech Kidizoom Smarwatch is a great place to start. Your 3-year-old will love her new watch because it doesn't just tell the time. It allows her to do so much more – take pictures, play with 5 games, count the number of steps she has done for the day, use a calculator, and so much more. What’s Great About It – It’s not just a toy but a functional one, because at the end of the day this is like you giving your child her own watch. The numerous features that come with it are a great bonus because they make this toy an educational one that targets many different skills at once. Now that your little girl is 3 years old, it’s the perfect time to get her started with the basics of writing. 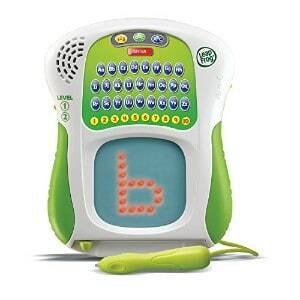 Scribble and Write by LeapFrog will do just that, because she’ll be working with a large display. It will light up with the numbers 0 to 9 or the letters A to Z, and your 3-year-old will just need to trace it. It also comes with a stylus that’s easy to grip, even by little hands. What’s Great About It – This toy gives you a fun way to teach your little one how to write, which is a very important skill that she will need to develop. Because this is a great interactive toy, she will not get bored easily and you can use it to teach her valuable lessons. Most little girls love receiving Barbie dolls at this age. I chose this particular Barbie because she comes with a few different looks. By mixing and matching accessories, your little girl can make a mermaid, a fairy, and even a fairy mermaid. In addition to the wings and mermaid tail, this package contains shoes, a tiara, and various bodices. Your daughter will need a bit of patience and practice to change this Barbie’s outfits. What’s Great About It – I love that this product will resist daily wear and tear. This Barbie can definitely make bath time more fun. I also appreciate that every accessory is large enough for your little girl to use safely. 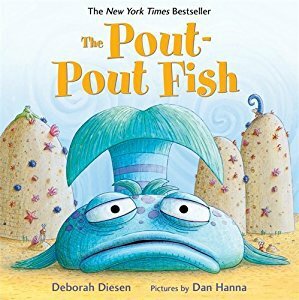 This sweet rhyming story is written by Deborah Diesen, and includes playful illustrations by Dan Hanna. It’s a New York Times Bestseller, and kids and adults love it equally. Your daughter will love to hear about this big sulky fish and his friends. She’ll learn about friendship, emotions, and undersea life. Most importantly, she’ll learn that it’s okay to be in a bad mood sometimes, but that being with loved ones can help. I personally prefer the hardcover version of this book for durability and larger pages. If you get the audiobook in addition to a physical copy, your kid can leaf through the book and follow the recorded narration at the same time. What’s Great About It – I love the easy, natural rhymes in this story. There is quite a bit of repetition, so your daughter will probably memorize parts of it over time. Jigsaw puzzles are great for a three-year-old. They can help your daughter become confident in her ability to solve problems. They’re also good for improving precision and observation. Three-year-olds need large, easy-to-hold puzzle pieces. The pieces should also have soft edges and eye-catching designs. 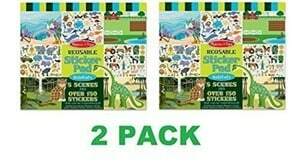 This Melissa & Doug product is safe and easy to use. This puzzle box contains 48 pieces, so your little girl will definitely need your help, at least at first. The completed puzzle is large and full of beautiful detail. 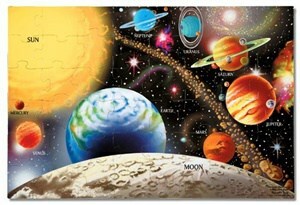 It depicts our solar system, with captions about each planet. If your little girl loves Cinderella, Belle, and Sleeping Beauty, this Play-Doh set is the perfect gift for her. 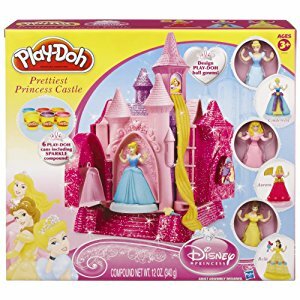 In addition to six cans of non-toxic Play-Doh modeling compound in different sparkly colors, this product comes with a plastic castle and three Disney princess figurines. Each figurine comes with a special mold. Your little girl will be able to use the molds to make ball gowns for the princesses in all her favorite colors. If she loves the scene where Aurora’s dress changes colors, she’ll love the idea of mixing up pink and blue Play-Doh to achieve the same effect. Your daughter can even shape new princesses using these molds, and there is a mold to make a prince as well. What’s Great About It – Your daughter isn’t ready to use clay yet at her age, but Play-Doh is a great substitution. Not only will it give your daughter a chance to express herself creatively in three dimensions, using Play-Doh is great for strengthening her hands and improving her circulation. Your three-year-old isn’t ready for complex rules yet, but she can enjoy playing a simple board game with family or friends. The board is so large that your best bet is to spread it out on the floor. I like that your kid will have to move around while she plays, and she’ll have a lot of fun using the spinning wheel and taking turns. 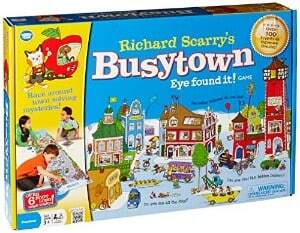 Since the object of this game is to find hidden details, it will develop your little girl’s observation skills. She can follow the simple narrative and enjoy the adventures of Huckle Cat and Lowly Worm. ​If your daughter already knows and loves the Busytown series, she’ll be happy to recognize familiar characters and settings. If not, this game can be a great way to introduce your kid to this wonderful and critically acclaimed book series. What’s Great About It – To succeed at this game, your little girl will have to use object identification, which is great for her cognitive development. Additionally, winning is a great confidence-builder, and learning to lose with grace is just as important. When they were three, my kids started asking for a corner of the house for themselves. 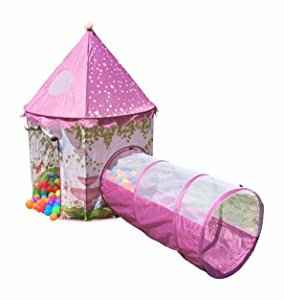 This lovely pink tent can be a nice hideaway for your little girl. You can set it up anywhere in the house. It can also be a great incentive for her to play outside. I particularly love the crawl tunnel. Three-year-old kids love the excitement of crawling through tube-like structures, and it can be good exercise as well. ​This set also contains a fairy costume with wings, so your little girl will have the option of dressing up whenever she wants to. What’s Great About It – Your daughter can share this toy with a friend or two, and it’s a great choice if you’re planning a party. If you like, you can fill this tent up with play pit balls too. Your daughter loves learning about nature. Most children are ready to understand the idea of a habitat at the age of three – for example, they know that marine animals belong together. This sticker pad collection can help your little girl learn about undersea creatures, farmyard animals, and the animal life in jungles, deserts, and even prehistoric forests. She gets 150 reusable animal stickers, and she can put them on any of the five backgrounds. It’s easy to peel off these stickers and reposition them. You can talk to your kid about the real and imagined lives of these animals. She’ll love moving each piece around and grouping them in various ways. What’s Great About It – I love that this toy is educational, but still provides opportunities for imaginative play as well. Your girl can intentionally put an animal in the wrong habitat and then tell you a story about what happens to it next. If you want to get your little girl something useful and fun, my list can help you get started. Here are a few things you should keep in mind. Your little girl needs to spend time playing outside for several reasons. Free play in your yard or a park will develop your daughter’s strength and agility. Her circulation will improve, and she will become happier and more energetic. Spending time outdoors will help her fall asleep quicker too. But there are cognitive and behavioral benefits as well. When she spends time outside, your daughter will learn to assess risk, and she’ll internalize the most important rules of moving in society. By experiencing nature firsthand, she’ll also absorb new facts about natural science without even noticing. Your little girl can already tell you how old she is, and she understands numbers up to three or even five. It’s not necessary yet to teach her the symbols of numbers, although she may enjoy recognizing number shapes. Instead, you can focus on counting songs, and concepts like more and most. Your daughter now has an intuitive understanding of sets, and she may already understand how to sort things. To develop her math skills further, you should look for toys that are colorful and can be sorted into various groups. Recognizing basic shapes is an important developmental milestone, and educational toys can help with that too. You have probably noticed that your little girl can finally hold pencils like an adult. She’s also ready to pour water into her own cup and to handle utensils with more care. Balance is becoming more and more important to your kid, and she’s starting to enjoy fitting things into their place. When you’re shopping for toys, make sure your daughter will enjoy touching and holding them. Extremely small pieces still aren’t a good idea. You don’t have to worry about choking hazards as much anymore, but picking up tiny pieces will only frustrate your daughter. Instead, go for blocks, jigsaw puzzles, and art supplies such as thick markers. At the age of two, your daughter already loved using dolls and plush toys, but she didn’t always understand the difference between reality and imagination. But now that she’s three, she is ready for more complex pretend games, and this is one of the most important things she can do at this age. If your daughter invites you to play with her, she might assign you a role you have to follow to her specifications. After all, there are stories unraveling in her imagination, and she likes to use toys and playmates to make those stories a reality. The best toys will give your daughter an opportunity to pretend play without restricting her to a single role or a single story. This is also a good age for costumes, because your little girl loves the idea of being someone else for a while. Your three-year-old is ready for collaborative play. Roleplaying with friends can hone your daughter’s social abilities, as well as provide a safe opportunity to explore various emotional situations. Since your three-year-old is versatile, her toys should be too. You want to make sure your little girl has ways of playing alone as well as toys she can share with others. When it comes to educational toys, you should choose interactive ones that will engage her senses. Most importantly, make sure your daughter has the freedom to decide how to use each toy. Each gift I selected will contribute to your daughter’s development in some way, and they will provide the opportunity to relax and have fun too.